When we think of New Year’s, we think of bubbly! 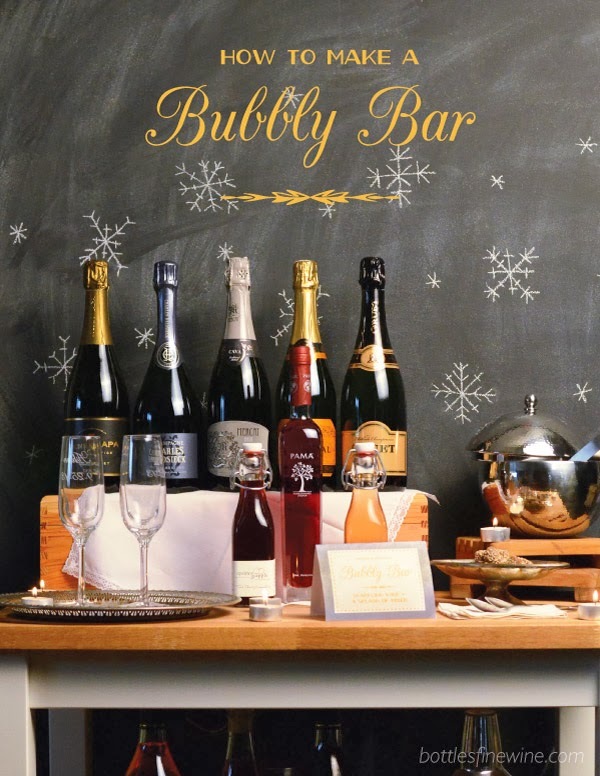 A festive way to ring in the New Year with family and friends is to set up a self-serve sparkling wine bar at home. Let your guests have fun creating their own sparkling cocktails! Your guests can choose a simple Kir Royale, or play mixologist as they combine flavors to create a multi-layered concoction. We’ve even made a free printable sign for you to download and place at the bar for the party! 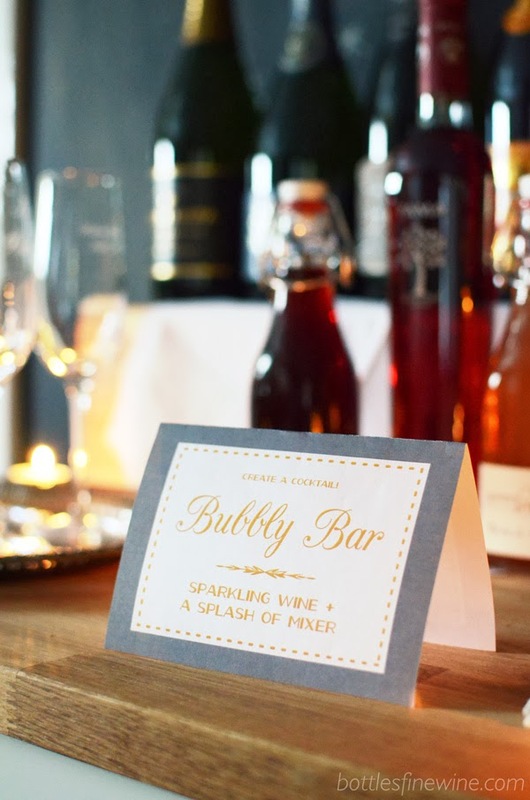 Click the link above to download and print this Bubbly Bar sign! After you’ve printed it, simple cut out the sign, fold in half, and place at the bar. Click the link above to download and print the list of everything you’ll need. 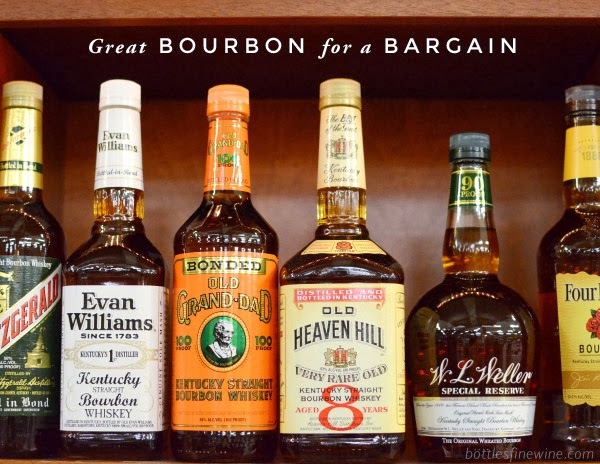 Stop by Bottles for all of these ingredients! We’ve drawn up a list of our favorite sparkling wines, Cavas, and Champagnes for you to choose from. Chill them beforehand, and place them at a the Bubbly Bar table. Not sure how many bottles of sparkling wine to get for your party? Here’s our hand-picked selection of syrups and liqueurs for guests to mix with bubbly. A dash of Cassis over a glass of champagne = a classic Kir Royale! 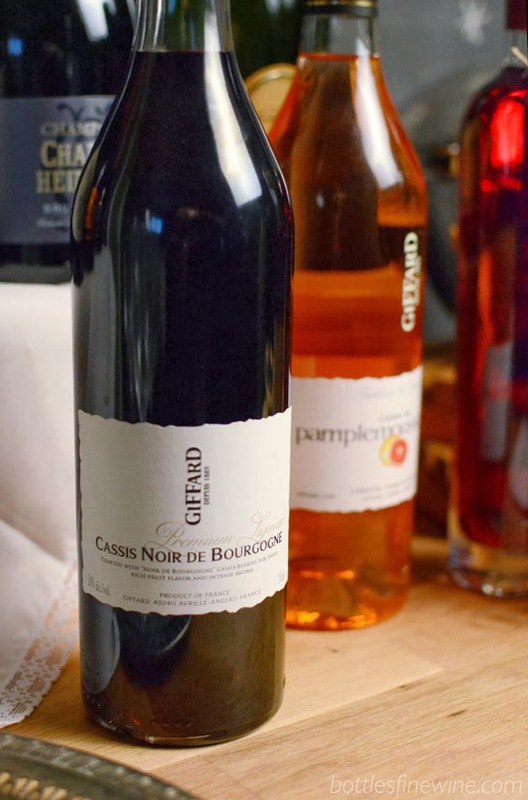 While a Kir cocktail is a French cocktail with white wine and blackcurrant liqueur, a Kir Royal is a variation that uses bubbly instead. Add a rosy glow to your glass of sparkling wine! 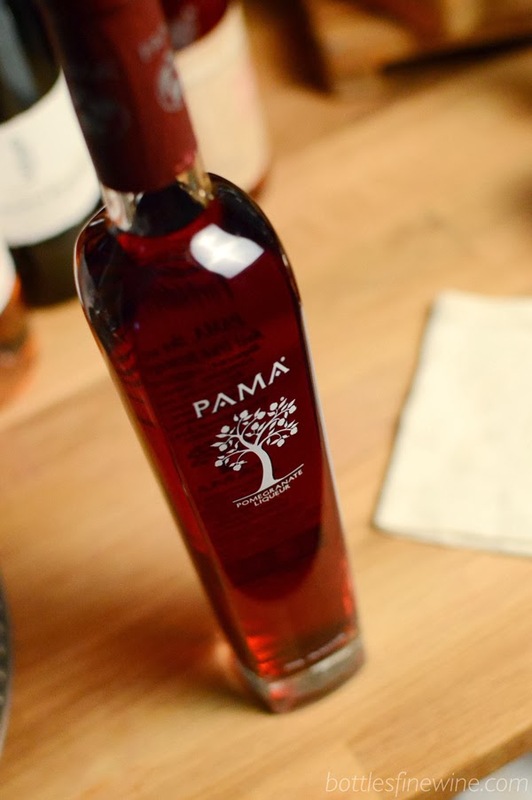 Pama has the complex, sweet, yet tart taste of pomegranates. 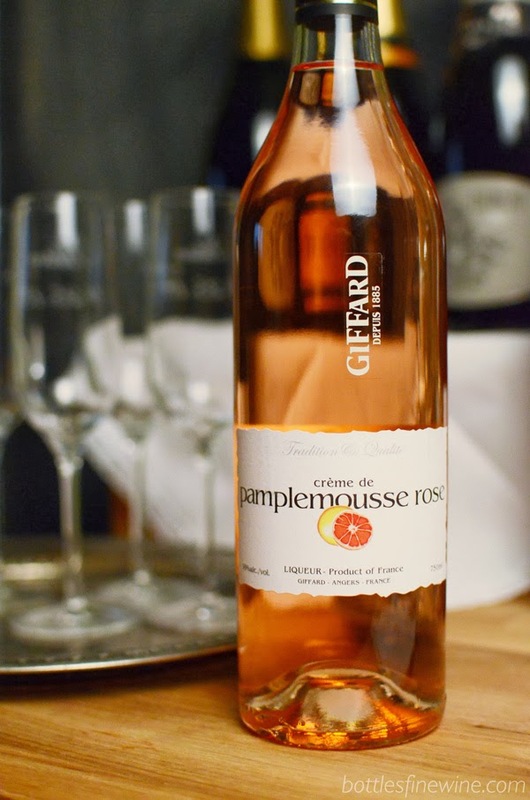 100% natural fruit crème that makes a great aperitif cocktail when mixed with bubbly. 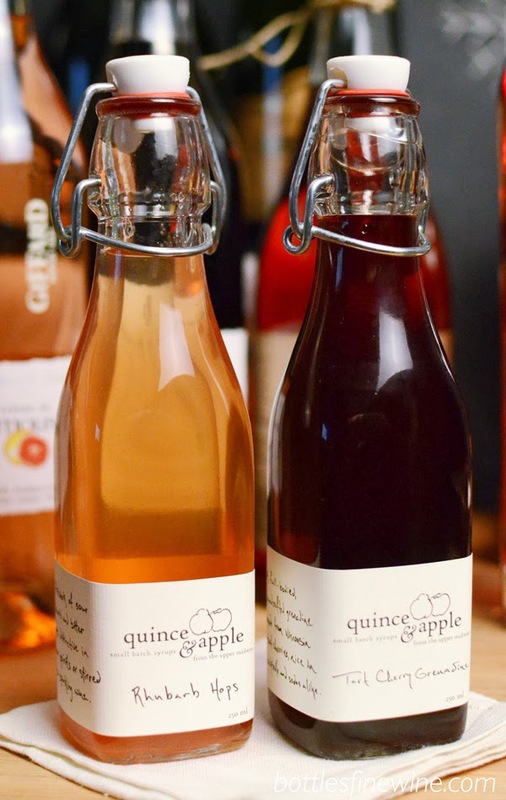 Quince & Apple syrups are all natural, hand crafted syrups from Madison, Wisconsin. Quince & Apple syrups rely on the best local produce to create a smooth, not too sugary syrup that can be combined with sparkling wine, liquor or club soda to provide a refreshing, non-alcoholic drink. Champagne is a region in France, home to some of the best Chardonnay, Pinot Noir and Pinot Meunier grapes in the world that create delicate, complex and heart stopping wines. 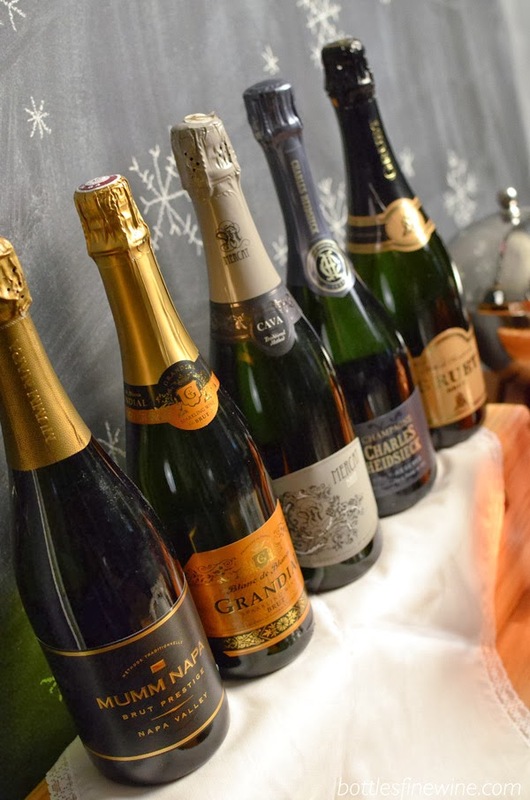 Buying Champagne to stock a bubbly bar can get pricey fairly quickly, but there are plenty of other sparkling wines made outside of Champagne that will impress your guests with their grace and balance. 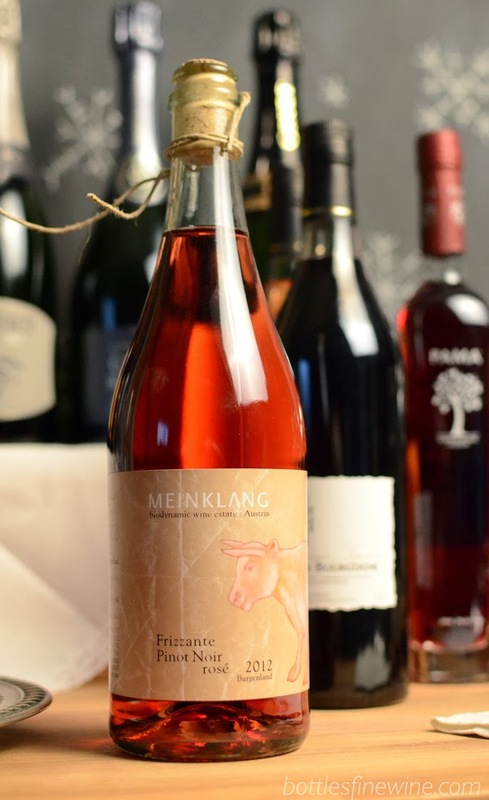 Featuring sparkling wines made from different countries and different regions is a great way to have an educational moment in the midst of good, old-fashioned bacchanal. However, as the clock is about to reach midnight, I pull a few bottles of Champagne from the back of the vegetable crisper, underneath the Swiss Chard and grapes (don’t tell my friends about my hiding spot) and pop the piece de resistance as the clock strikes midnight! This entry was posted in Cocktails, Party Ideas and tagged bar, champagne, gift, holiday party, holidays, party ideas, self serve, sparkling wine, wine on December 18, 2013 by bottlesfinewine.